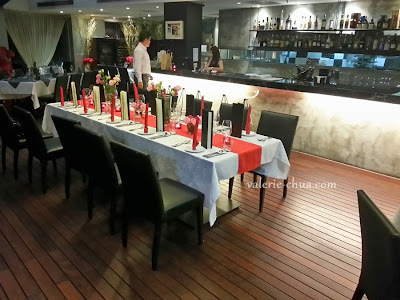 It was quite a last minute arrangement when Timmy boss asked me to join him for the food review. Since I was free and also always reaching out for good food (so that I can always bring my besties and boyfie for some good food! ), I decided to join him after work. It was hidden somewhere along the ECM building there. Used to be quite easy to recognize as there were 2 petrol stations out there, but both have been teared down for the construction. So if you are going there, do be very cautious and do not miss out the junction there. It looks like some sort of matchmaking session coming up soon. LOL. 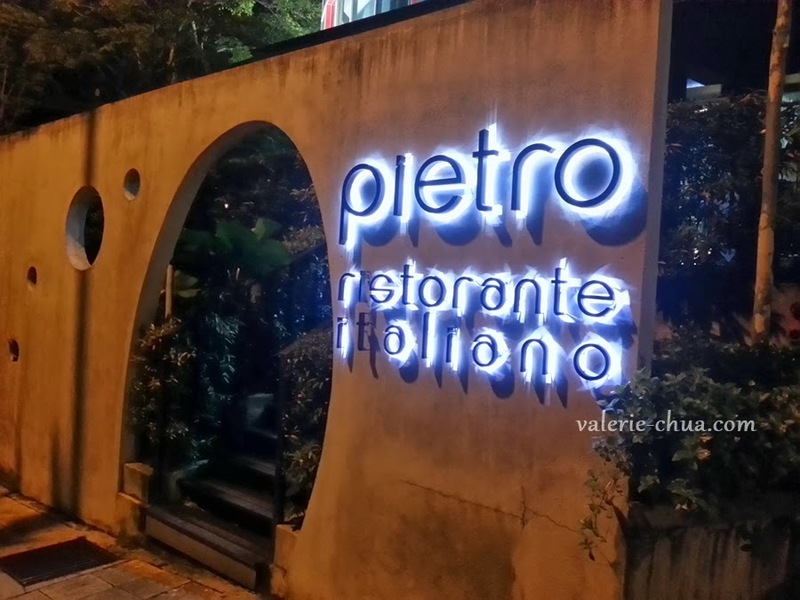 Let's start our gastronomical journey of the night! Photos credit to Andy Kho. Fegato d’ Oca – Pan-fried foie-gras served with roasted apple, port wine sauce and micro lettuce on toast. Used to think foie-gras very disgusting but i tell you what, it all depends on how the food preparation was done! 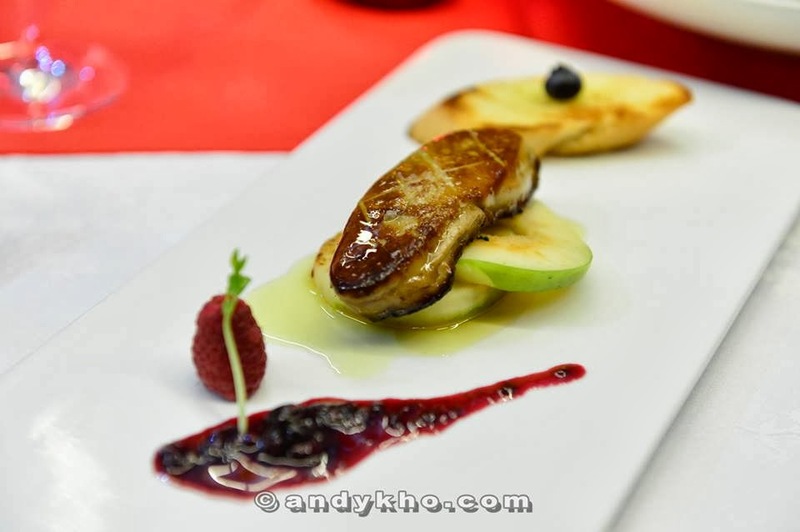 This foie-gras is so tasteful and eventually you can feel the sweetness when you eat together with the roasted apple. Capesante – Pan-fried scallop served with warm pea and basil puree, balsamic rucola salad, and parmesan shaves. 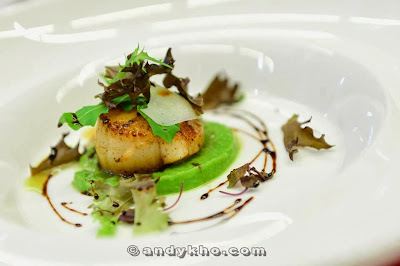 The scallop is fresh and went well with the puree. 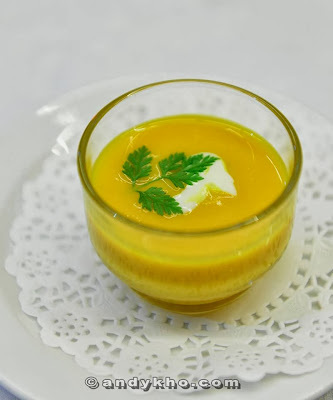 Arrosto Butternut – Roasted butternut soup served with pecorino and basil oil. Personally I prefer soup that is not so creamy, but this will definitely be creamy soup lovers' new love! 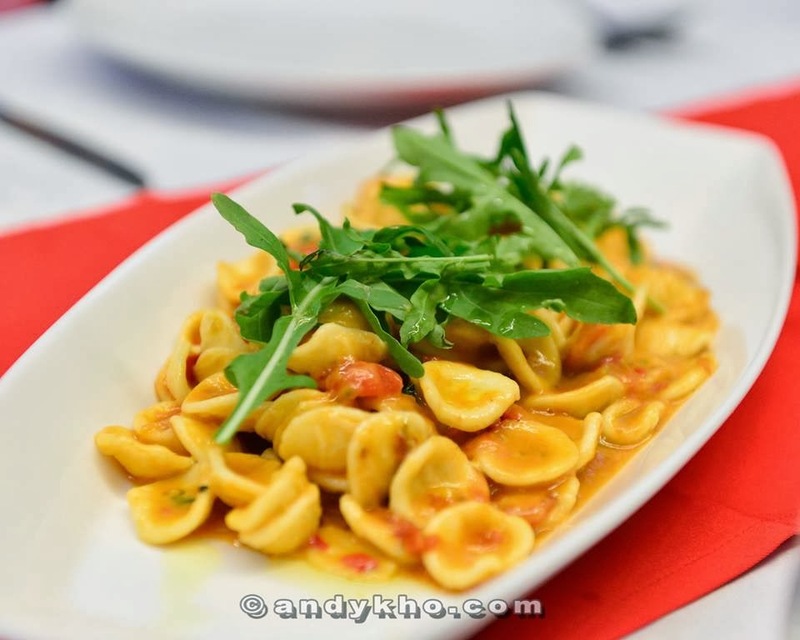 Orecchitte con Pomodorini – Ear-shaped pasta with fresh baby tomatoes and basil leaves with Pecorino cheese slices. One of my favorites of the night! The texture of ear-shaped pasta together with cheese is so marvelous!! Tagliolini neri con Capesante – Squid ink tagliolini with Hokkaido scallops, prawns, rucola and aglio olio sauce. 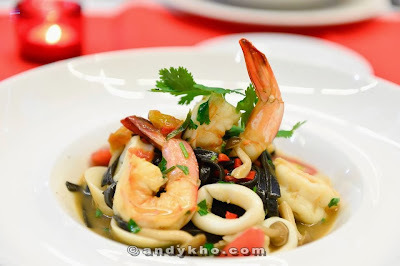 It was my first time trying out squid ink pasta. I love how they localized this dish by having the sauce in Tom Yam sour spicy taste. Very refreshing taste. Tortellini coda di bue con basilico – Tortellini pasa with stewed oxtail. The Italian's dumpling, hahahaha! 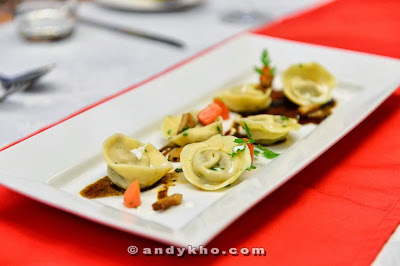 Indeed an awesome dish! I think I can finish the whole plate by myself, too yummy!! 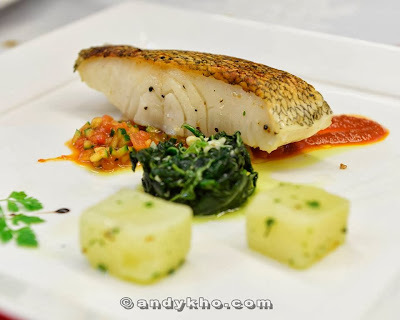 Merluzzo del Pacifico – pan roasted cod fish with tomato roma gazpacho served with boiled spinach and cube potatoes. I always love cod fish because is usually serve boneless! This fish is so fresh and the skin is so crispy (oh collagen!)! 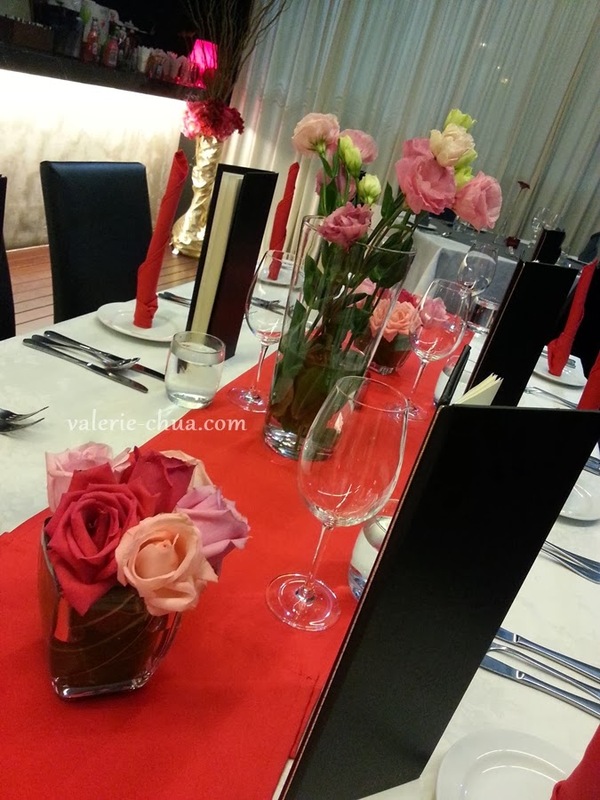 When we thought we were done with the meal, here's the time when the Chef walk out with the main course of the night. I was so full already!!! 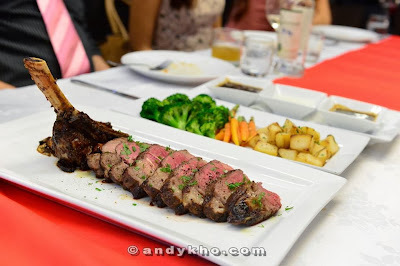 =.="
Chateau Briand – 1kg Australia bone-in Ribeye!!!! How can I resist such handsomely done Mr.Beef? My lovely ribeye is accompanied with broccoli, baby carrots and potatoes as side dishes; and also three different type of sauce: porcini mushroom sauce, blue cheese sauce, and peppercorn sauce for your preference. 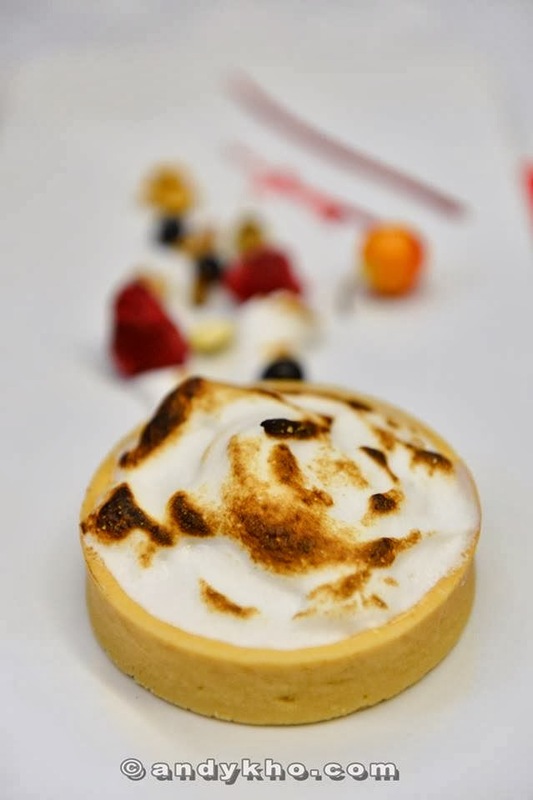 Lemon Meringue Tart – lemon tart served with fresh meringue. It has those pavlova texture with very sour sweet lemon taste. 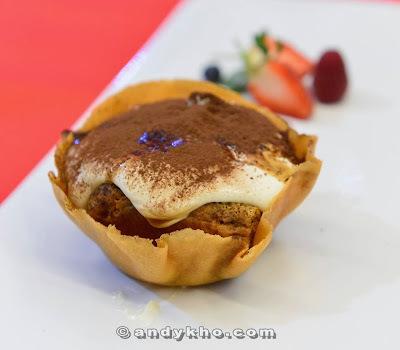 Pietro’s Tiramisu – Mascarpone and Savoiardi biscuit served with berries. I was a bit reluctant to eat this as I can't bear to break the biscuits. LOL. But eventually I did la~ I prefer the Lemon Meringue Tart.